With four children in our house and several relatives buying for them that could be a heck of a lot of chocolate from everyone and a lot of sugar consumption for the kids! Who am I kidding, we end up helping the kids out and increasing our own sugar consumption! So for those who love a foil covered egg but don’t want too many coming into the house I have put together a list of some of the best alternatives to chocolate gifts this Easter, especially for those looking for Easter gifts for non chocolate eaters. If I have marked a product with a * that is because we were sent a PR sample free in exchange for inclusion in this Top Easter gifts guide. 2019 marks the 50th anniversary of the classic much loved The Very Hungry Caterpillar by Eric Carle. 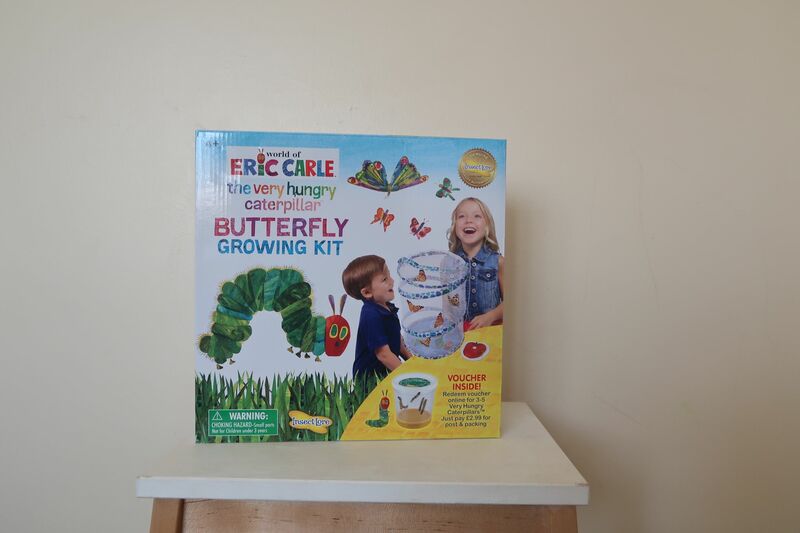 Get your hands on this Special Edition popular Butterfly Garden which comes with The Very Hungry Caterpillar reusable habitat, 3-5 Painted Lady caterpillars and food, feeding pipette and full instructions. With the added bonus of a surprise Very Hungry Caterpillar fruit or food feeding kit. Styles may vary with each order. 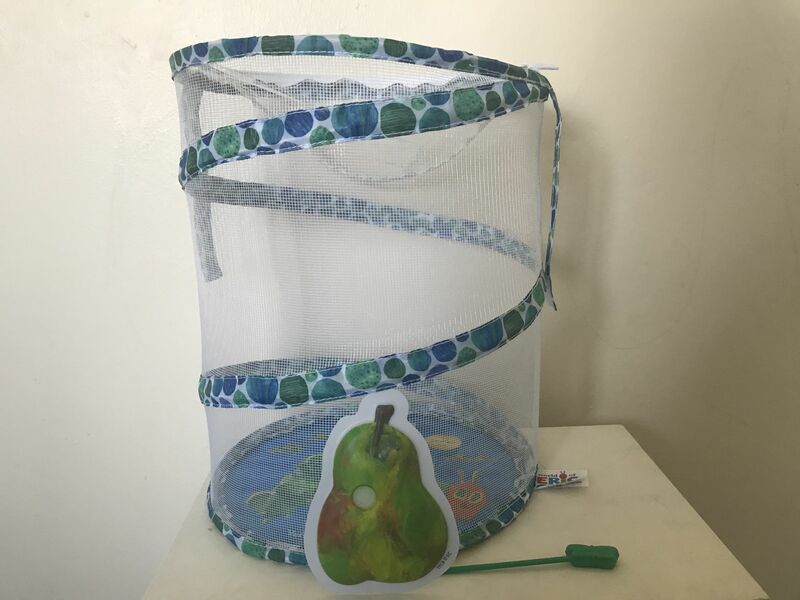 What a perfect way to demonstrate the life cycle to children and give them a unique Easter gift. The cycle of the caterpillars to butterflies takes approximately 3 to 5 weeks and needless to say they are very excited to be receiving theirs in a few days. I will update you with a more detailed review at the end of our Very Hungry Caterpillar project. This craft & play kit is an adorable set for Easter. 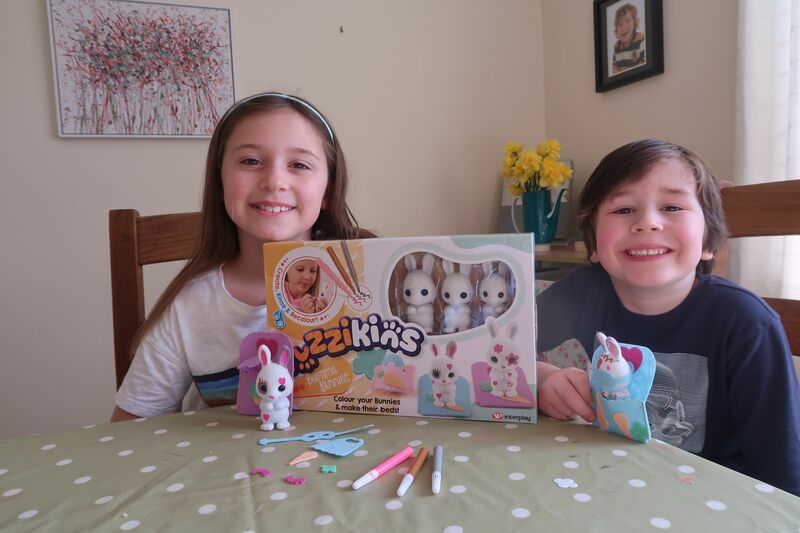 Featuring 3 different sized rabbit flocked figures, washable felt tip pens, sleeping bags and plenty of other accessories to personalise and play with. 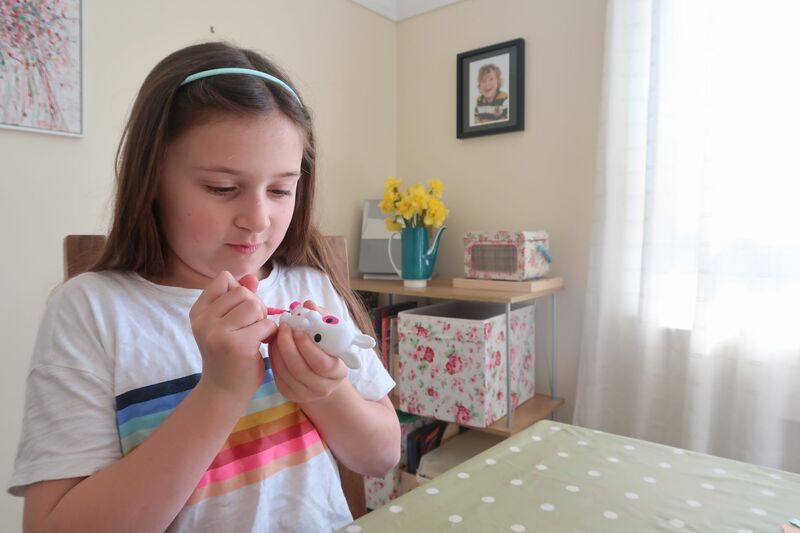 What we loved about these are that you can rinse, dry and recreate your bunnies as often as you like, meaning you really do get your money’s worth with this craft kit. We thought the sleeping bags with personalised felted stickers are a very fun addition and especially loved the super hero and eye mask accessories which then they role-played with to put their bunnies to bed. They were very happy with their first attempt at colouring in their bunnies. 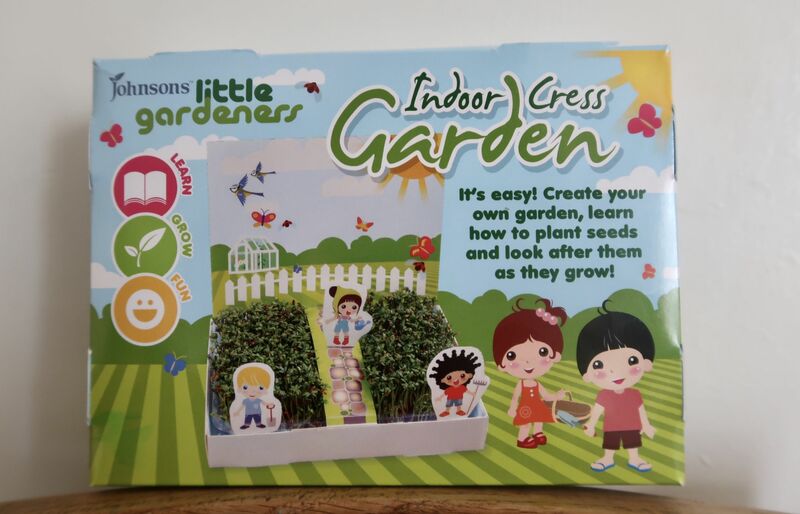 This clever little kit comes with a recyclable grow mat for little ones to sow the cress seeds onto and then water daily. And being able to build and cut out the garden from the cardboard packaging box was a really good challenge for my 5 year old Teddy. he loves to use scissors and so set about it eagerly with adult supervision. I have included a photo of our results so far 6 days later and I’m very much looking forward to Teddy being able to make us egg and cress sandwiches. A great unique Easter gift and mini garden project for the holidays. I have had my eye on one of these, since the shop recently launched. 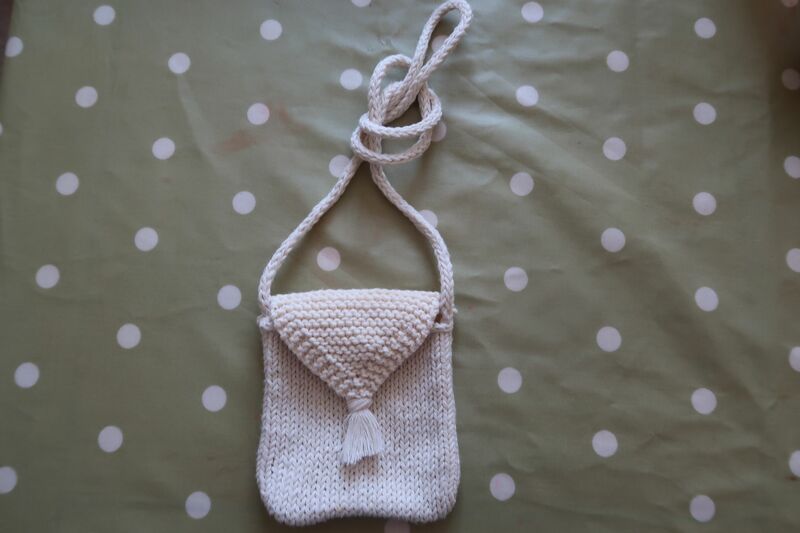 It’s such a traditional, non fussy yet adorable toddler designed cross body bag. 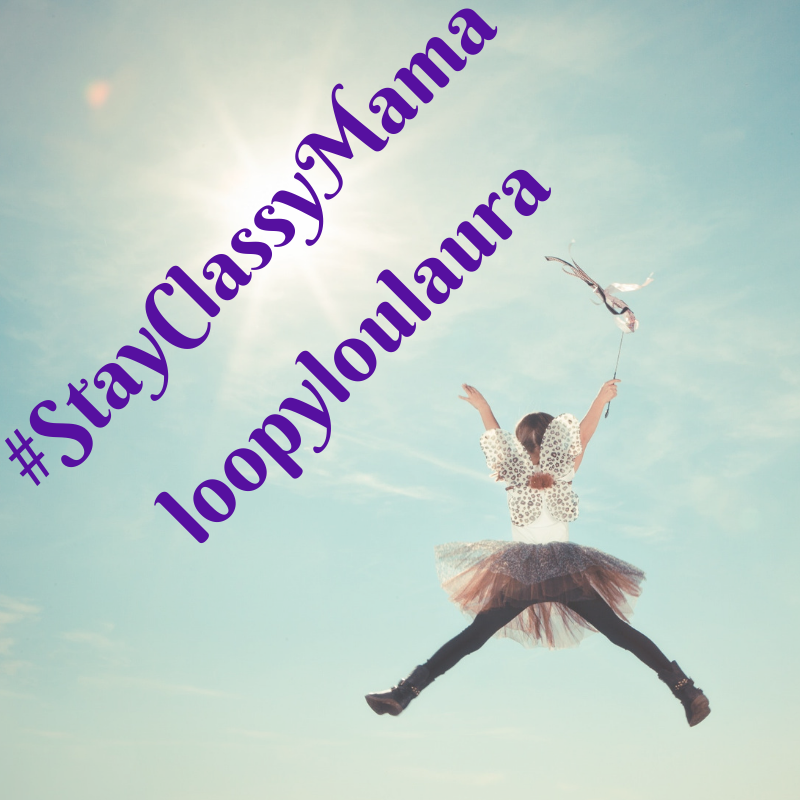 So easy to use for our 2 year old Florence as there are no fastenings to grapple with and yet her treasures stay safe due to the flap and tassle design. Brilliant for our many nature walks and scaveneger hunts. The attention to detail on this handmade bag is perfect and the soft knit is also machine washable. Go take a look at this Etsy seller, as this little bag would be a lovely toddler Easter gift with maybe a little chocolate egg inside! 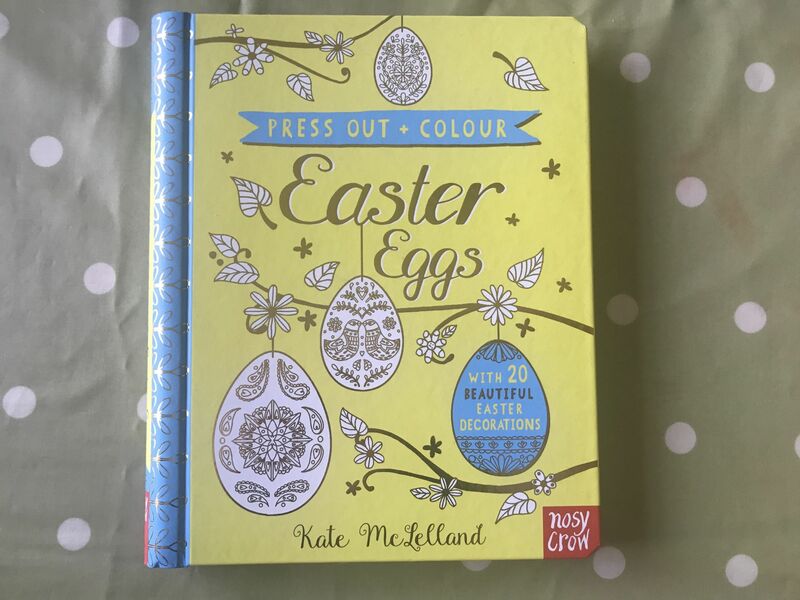 I have also included a Toddler book to my Easter gift guide as we find books perfect alternative Easter. Our Florence loves visiting the local farm and so this Spring is a perfect time to share a farmyard tale with your toddler. 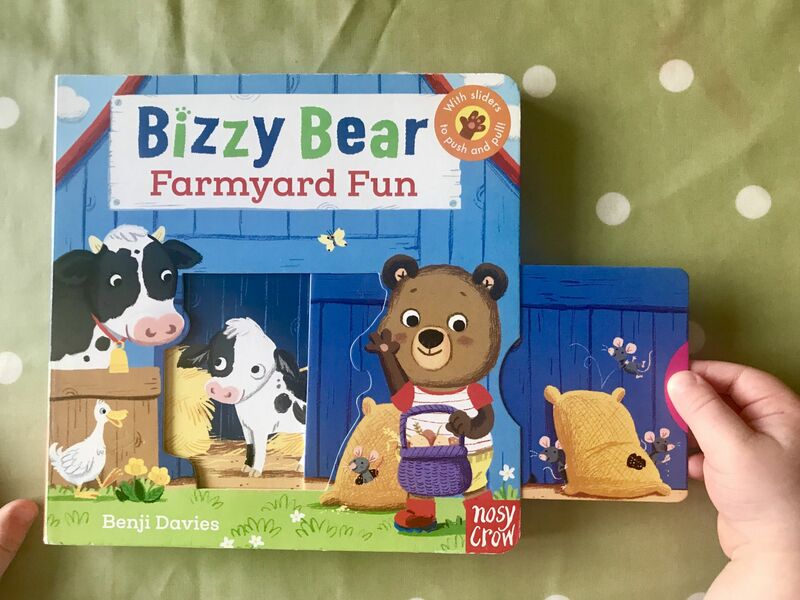 This fun and interactive board book is all about a busy or should I say Bizzy Bear as he helps out in the farmyard. Toddlers will enjoy the push and pull sliders on each page, being able to count the animals and enjoy seeing Bear say hello and goodbye to all the animals whilst he goes about his farm jobs. Perfect for a toddler’s book shelf this Easter. 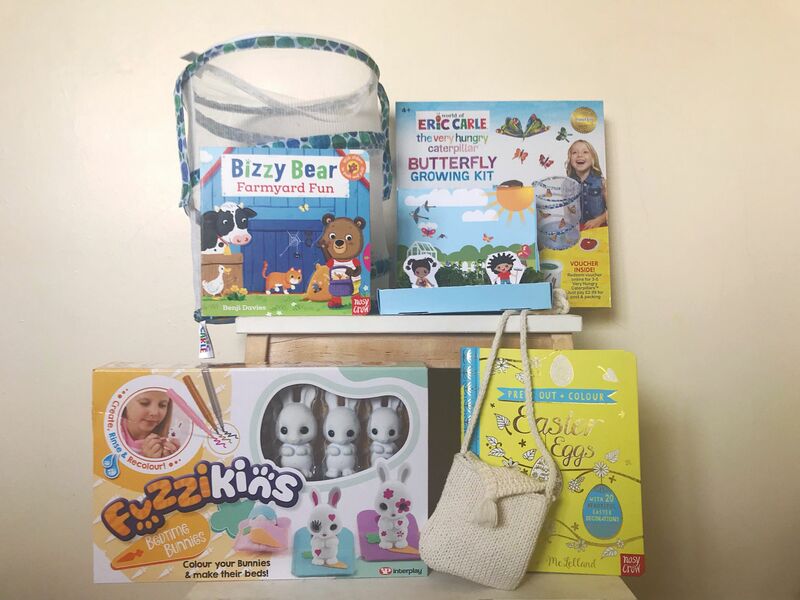 I hope this has been a handy alternative unique Easter gift list and gives you some useful ideas for some smaller gifts and activities for the littles in your life. And for all the parents who are searching for fun Easter gifts for your non chocolate eaters, this will hopefully inspire you. I was gifted the items marked * in exchange for being included on this review gift list. "Living Arrows 13~52 Team Stein"